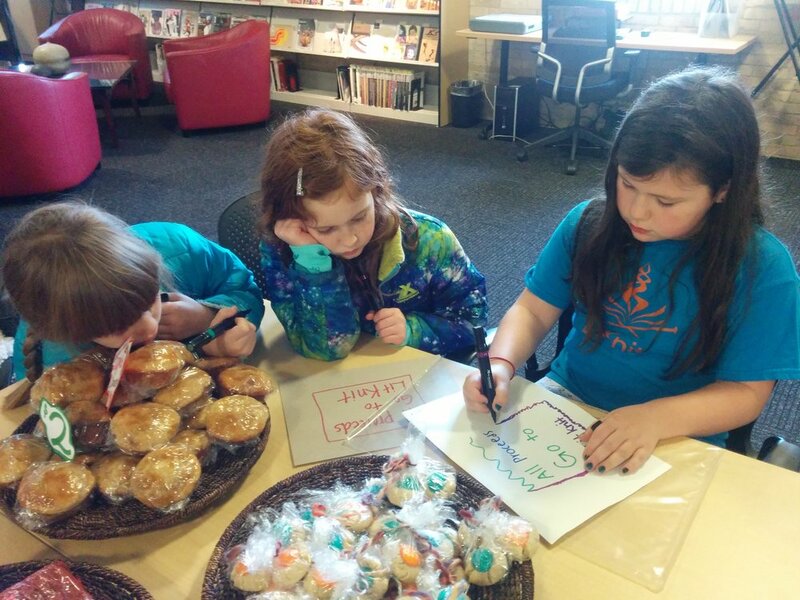 Under Katrina's guidance, Lucy, Maia and Piper made signage for the bake sale. Notice the adorable signs the Katrina made for the items!! Thanks and well done ladies!